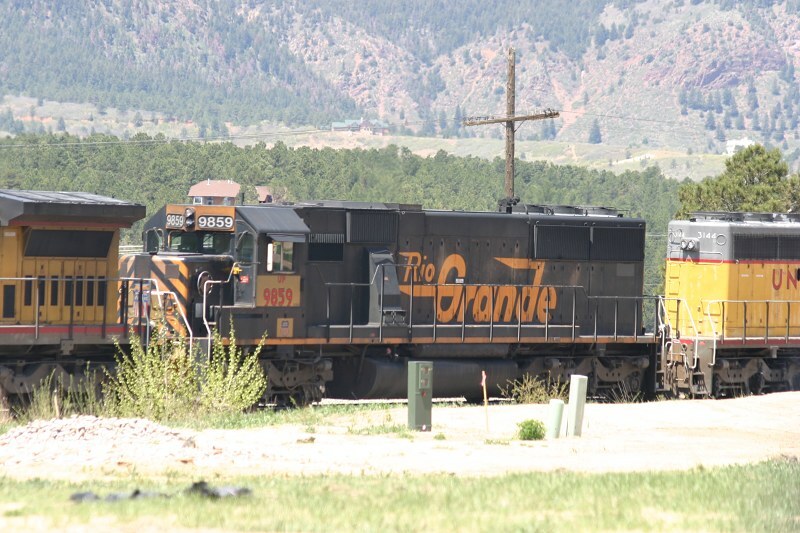 Just a reminder that opening day for the 2004 Cumbres & Toltec Scenic season is this coming Saturday, After a long winter's rebuild, 484 went over to Antonito on Tuesday to pick up a round of passenger cars. 487 should be the other unit expected to be up and running on Saturday, as it's the other K-36 close to finished. Sometime mid-season, a third K-36 should emerge to provide power coverage should something go wrong with 484 or 487, or just to spread the work around. I have no idea which will lead from which end of the line on Saturday, though. I'll probably be down there on Saturday for opening day, and so count on a full report sometime Sunday. In other C&TS goings on, the Friends just completed a work session, where one of the major goals was brush removal along the RoW. Photos from the first work session (A) can be seen here, and more pictures from the B, or second, work session can be seen here. Yesterday brought not only weird weather to Colorado, but also a pair of derailments. 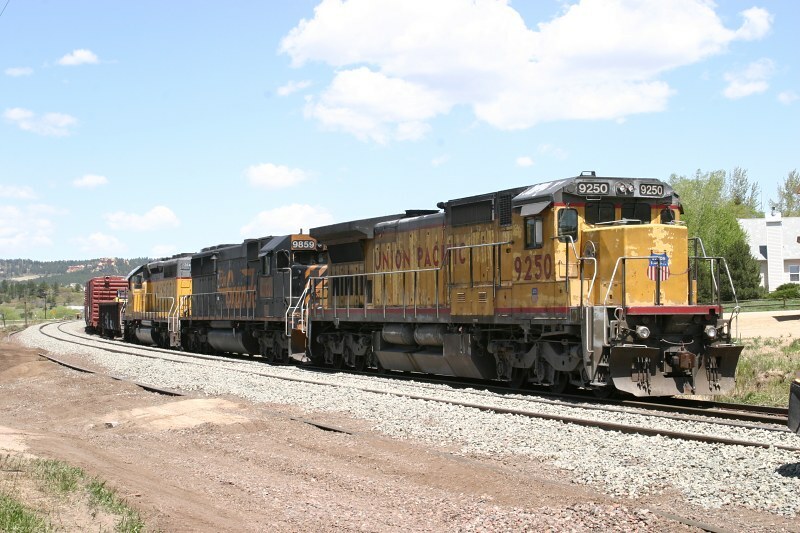 The first was a BNSF mixed, supposedly M-DENLAU (Denver-Laurel, MT, manifest) that string-lined a few empty centerbeams into the South Platte river. This occurred at about 1300h as the train passed around the tight curve that brings trains off the southbound BNSF and turns them around to head for the North Yard area. 9News.com has that story and pictures here. The Denver Post story can be found here, and the Rocky Mountain News article here.